Curtis sees tag-covered city walls as a highly ephemeral art form. Grafitti artists, as we all know, are constantly overwriting old images with their spray cans, creating a palimpsest of tags–and this makes these images particularly interesting to the archaeologically minded. How does this uber-urban art change and evolve over time? 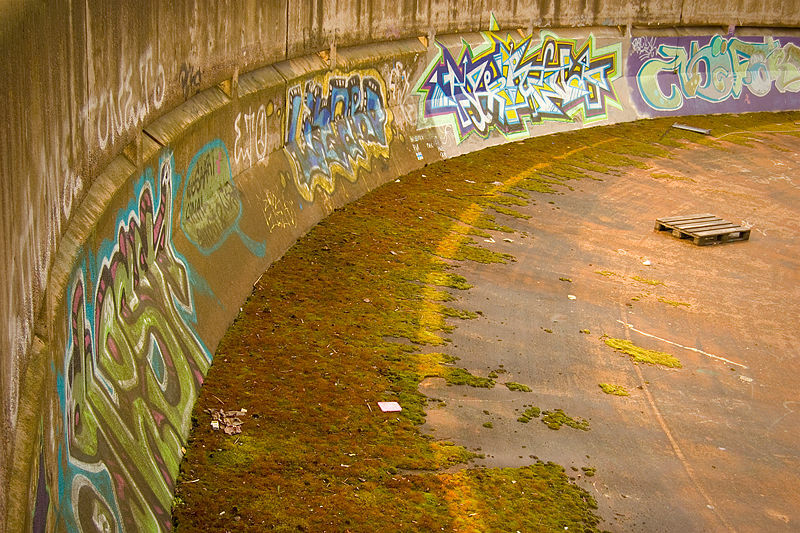 How often do artists revisit and rewrite graffiti sites? Do the same artists return again and again? Or do different artists add their tags to a site, creating a kind of graffiti dialogue? I think these are all intriguing questions, but to get at them, one clearly needs data. Curtis offers it up in spades. To document ever-evolving urban graffiti, he began taking photos of urban walls in 15 different locations in 1999, returning regularly–sometimes daily–to update his data bank. Sometimes he caught tag artists in the act with spray cans in hand; other times he caught images of the street life that these walls attracted. Curtis has posted the results on his website Graffiti Archaeology in a clear and beautiful way, creating a timeline for each wall. Click on the timeline, and you can see what the wall looked like on a specific date and then how it changed over time. The site is really a web masterpiece, and after spending time there, I began to see urban graffiti as an organic, breathing, living urban artifact. If you haven’t visited Curtis’s site, I highly recommend that you check it out. I’d love to see archaeologists take a serious look at this street-life art. Researchers have been poring over ancient graffiti at sites like Pompeii for years, and it seems to me that future archaeologists could learn something intriguing about street culture from poring over our painted concrete walls. I will look into this a bit further and perhaps post on this subject again in the future.